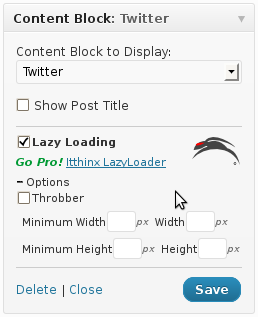 If you are using WordPress as your blog platform and want to increase its performance, The Lazy Widget Loader plugin provides lazy loading for widgets to improve page loading. Use it on slow widgets, especially those where external data is loaded, like widgets from Facebook, Twitter, AdSense and others. How does the Lazy Widget Loader plugin work? How does Lazy Widget Loader accomplish its goal? The contents of chosen widgets are loaded in the page’s footer and once the page has loaded completely, these contents are moved to where they should appear. As you postpone loading of these contents until the very last moment, you page will render its contents and will not be affected by those contents in slow widgets that take more time to load. Note that lazy loading is often understood as to retrieve resources when they come into view, for example if you have an image at the bottom of your page and you want to make sure that this image is not loaded, unless the viewer scrolls down to where that image should appear. But that is not this plugin’s strategy; if you want to be able to load content on sight, take a look at the Itthinx LazyLoader. 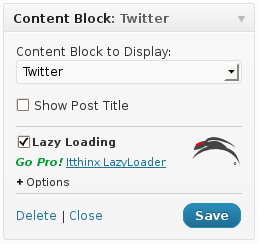 You can check lazy loading widgets in action on the Itthinx Lazyloader Demo site and download the Lazy Widget Loader plugin for free from the WordPress plugin repository. No physical modification of templates so original files, code comments and indentation intact. GZIP files so code and files are served on compressed files. Simple one page admin panel. 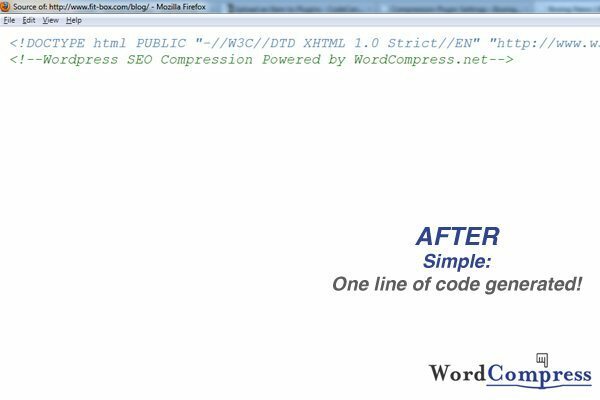 NEW Cache system – all compression happens before page loads compared to WT3 and more. NEW Cache system – ability to delete and rebuild templates and clear the cache. 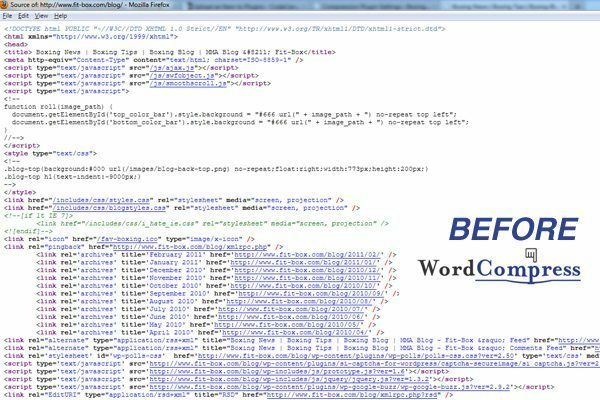 NEW Cache storage system – all WordCompress actions happen during Admin changes in WordPress automatically. NEW All external and interal CSS (CDN files and more) are included in the compression and are then placed for cache sync. Extra spaces, lines, and comments will be deleted.